The United Nations has introduced a treaty that it believes will eventually lead to the total elimination of nuclear weapons. 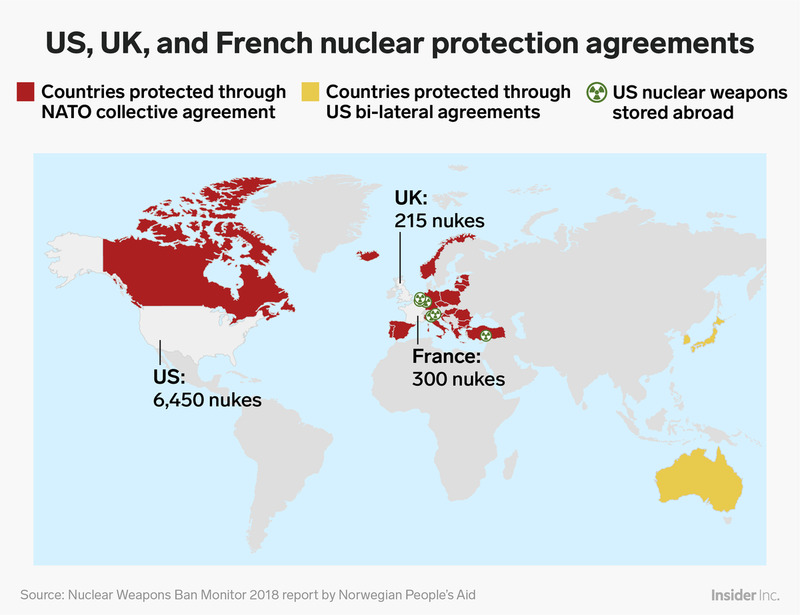 A recent watchdog report said the Treaty on the Prohibition of Nuclear Weapons (TPNW) is a historically significant effort that’s gaining traction, which highlights the profound power imbalance between the few nuclear powers and the many countries without the devastating weapons. “The rate of adherence to the TPNW is faster than for any other weapons-of-mass-destruction (WMD) treaty,” the report says. 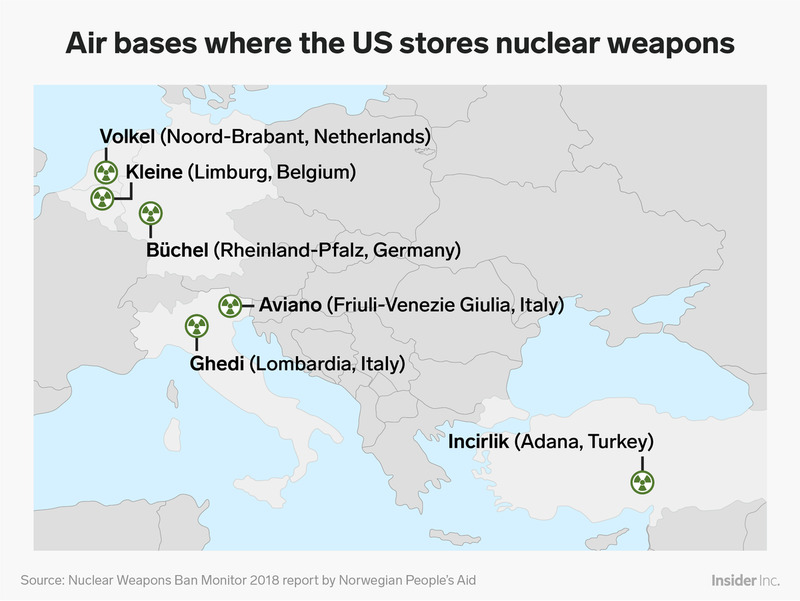 This is an overview of the nine nuclear-armed states and the 31 nuclear-weapon-endorsing states – countries that do not develop or possess nuclear weapons but rely on another nuclear-armed state for protection. 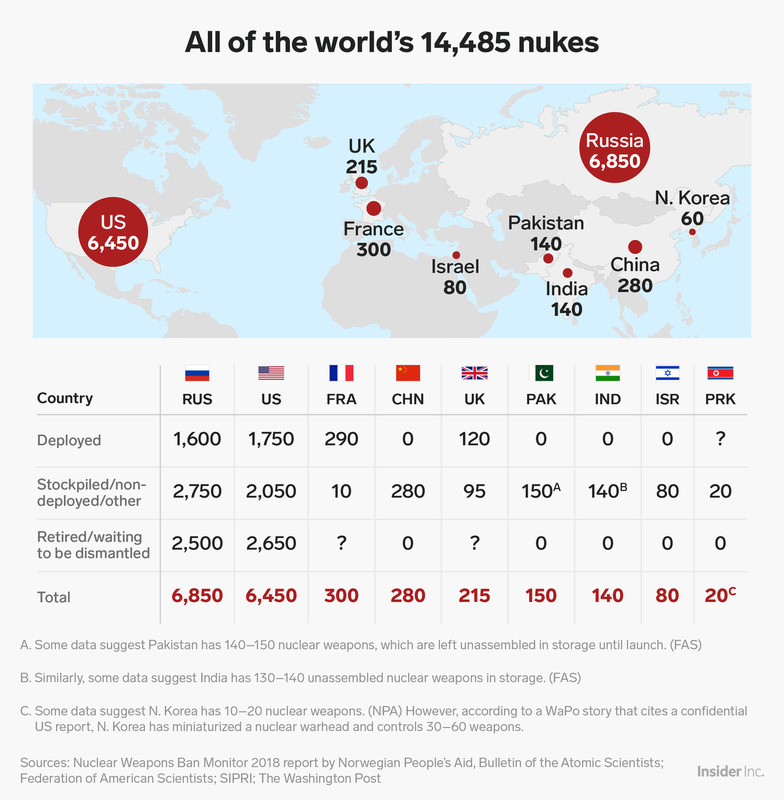 Russia has the world’s largest nuclear arsenal. 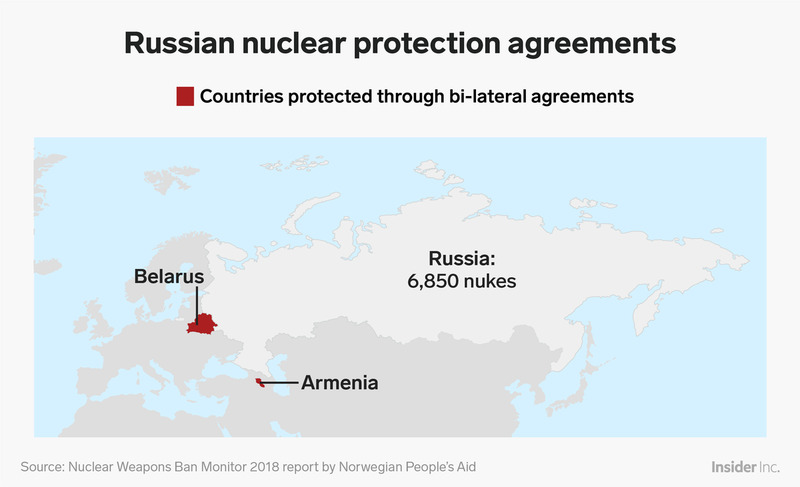 Armenia and Belarus, who both rely on Russia’s arsenal for “umbrella” protections, stand in violation of TPNW. Russia is also only one of three nations to possess a nuclear “triad,” which includes intercontinental ballistic-missile delivery. A nuclear “triad” refers to a nation’s ability to deploy its nuclear arsenal through intercontinental ballistic missiles, sea-launched ballistic missiles, and strategic bombers, as defined by the Nuclear Threat Initiative, an advisory board that conducts research and provides analysis to encourage diplomacy. This number has been “significantly reduced since the Cold War,” according to the report. Andrew Linnett/Ministry of Defence Crown/GettyHMS Vengeance departs for Davenport, United Kingdom, prior to refit. 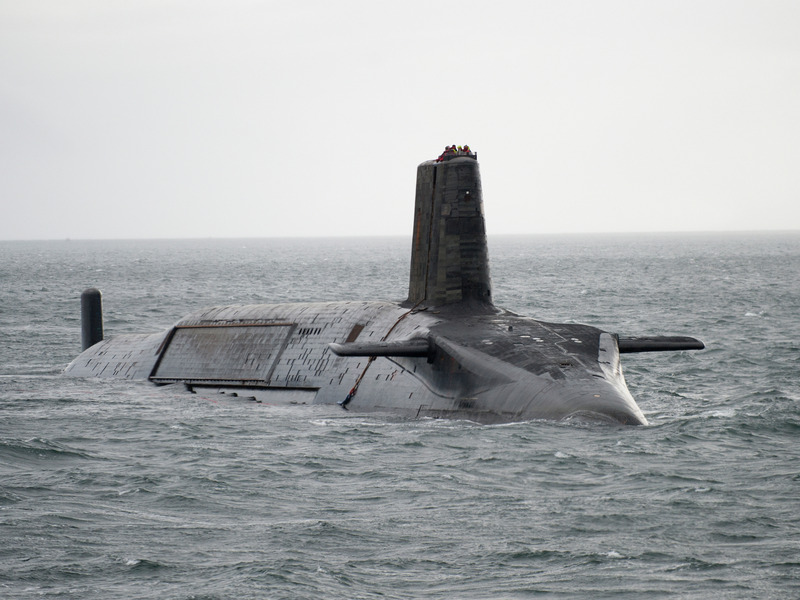 Vengeance is one of only four Vanguard-class submarines, which is the only military platform that can launch the UK’s nuclear weapons. Israel maintains a policy of “opacity,” while other nations promise not to use their nukes against countries that don’t have them. China possesses a nuclear “triad,” but has agreed not to employ nuclear weapons against any nation in a Nuclear Weapons-Free Zone, which include Latin American and Caribbean nations, as well as some in Africa, the South Pacific and Central Asia. The size of Israel’s cache remains unclear, and though it is possible that the nation holds enough enriched plutonium for 100 to 200 warheads, the NWBM accepts estimates from the Federation of American Scientists, which show that Israel possesses approximately 80 nuclear weapons. 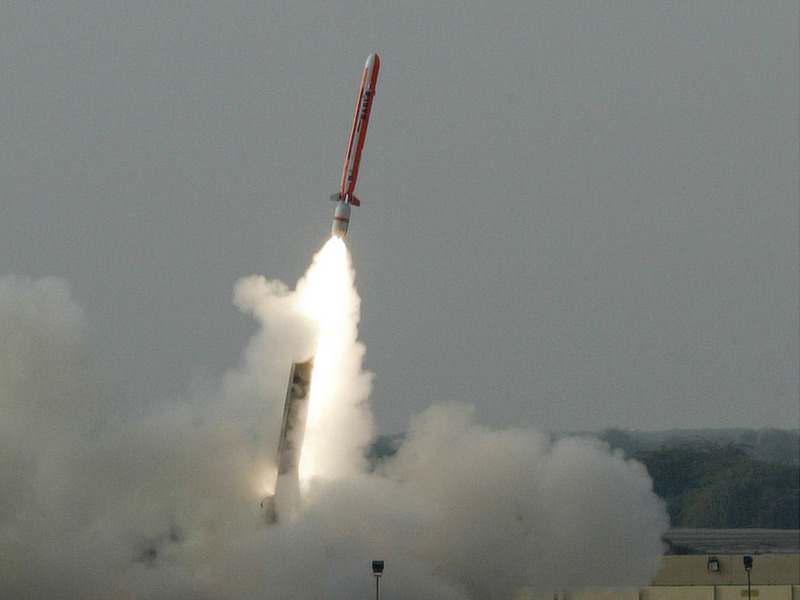 Reuters stringerPakistan’s Hatf VII (Babur) missile takes off during a test from an undisclosed location in December 2007. 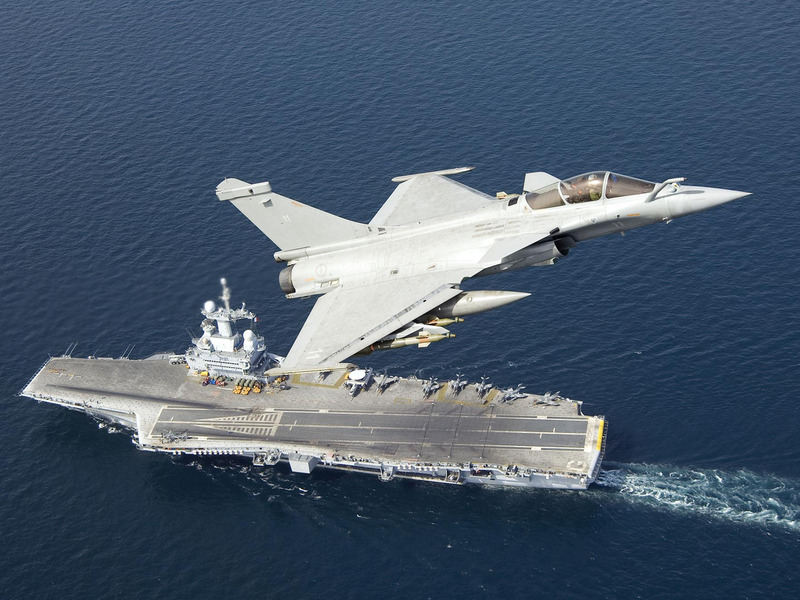 Mainly due to tensions with Pakistan, some experts have questioned whether India’s “no first-use” posture will endure.